Fully assembled taupe grey painted low wardrobe / linen closet. 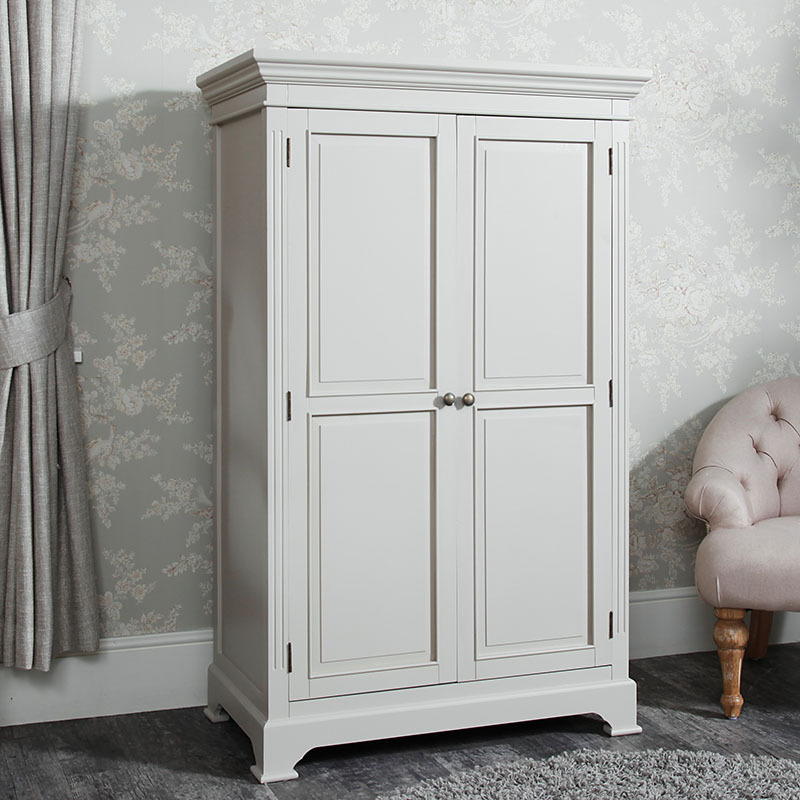 Ideal storage solution bedroom, laundry or utility room with removable hanging rail & shelving. Perfect for modern or country styled home decors and interiors. Matching furniture available. 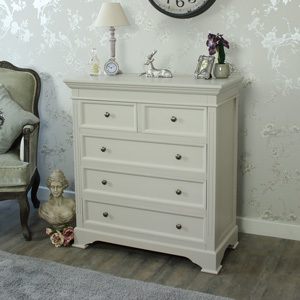 Hand painted and finished in a neutral taupe-grey colour. 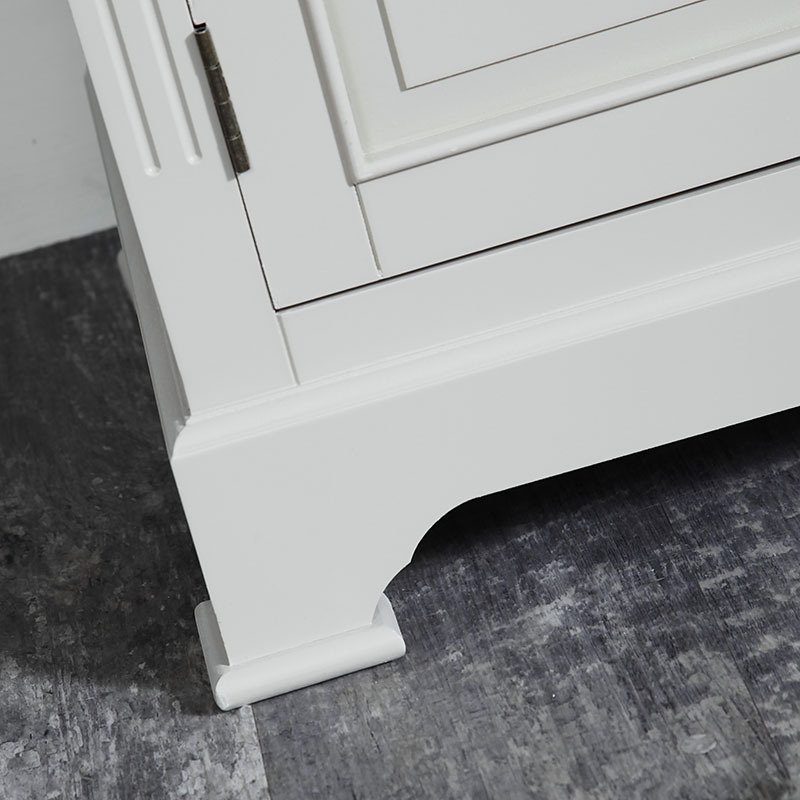 The Daventry Taupe-Grey Range combines modern and traditional for a great look. This ranges includes furniture for the bedroom, living room and hallway and also comes in more colours. 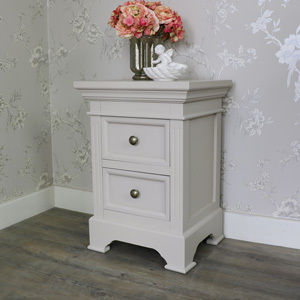 Constructed from wood and painted in a neutral taupe-grey colour. The unit comes full assembled and ready for use. 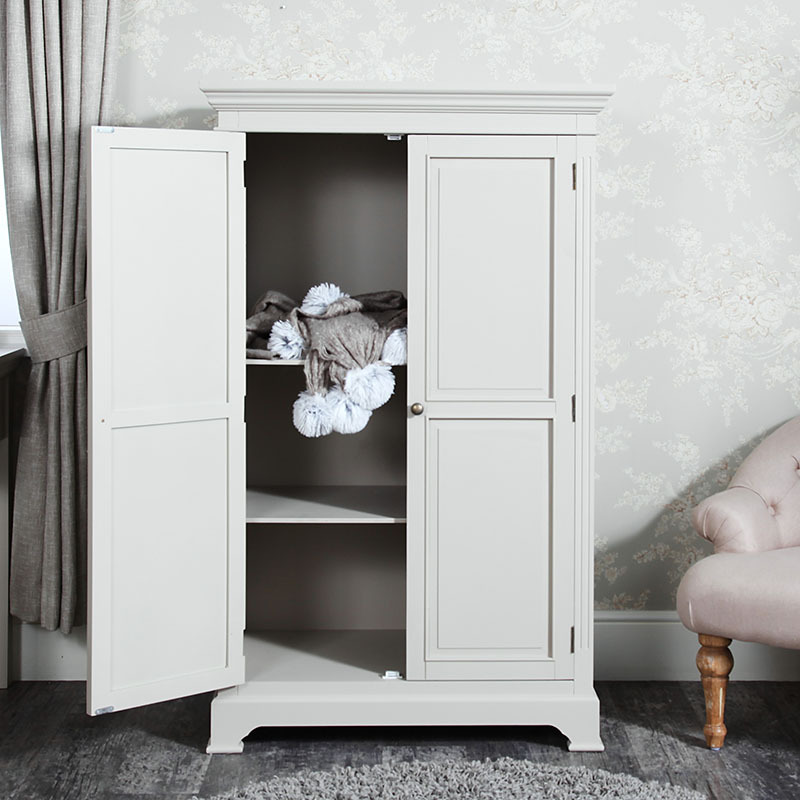 From the Daventry range, this Wardrobe/Linen Closet is made from wood in a hand painted, hand finished taupe grey. 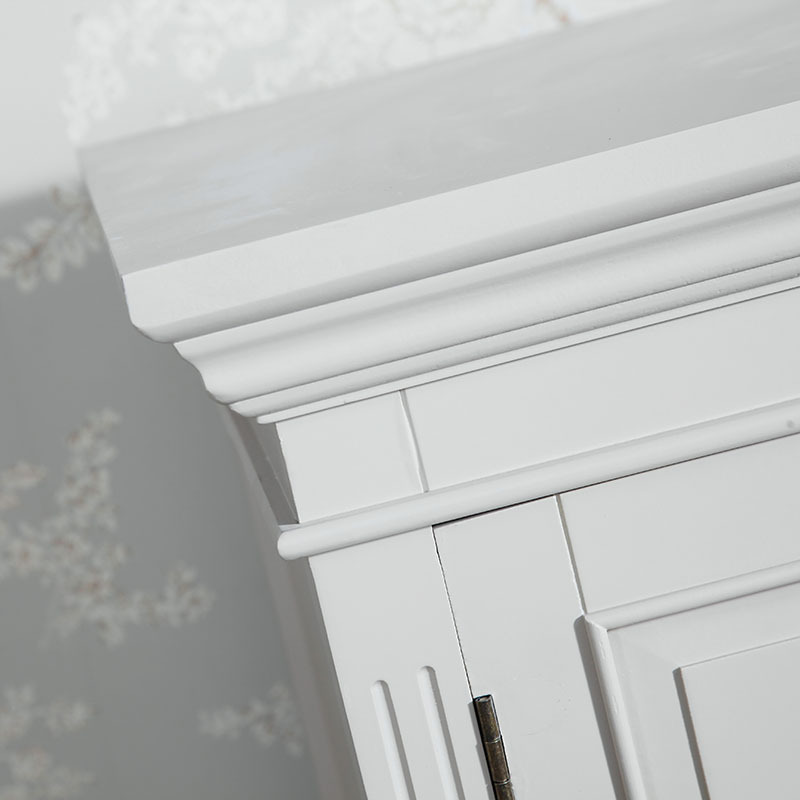 It has removable shelves and the rail is also removable, so that the wardrobe is very flexible for storage solutions. 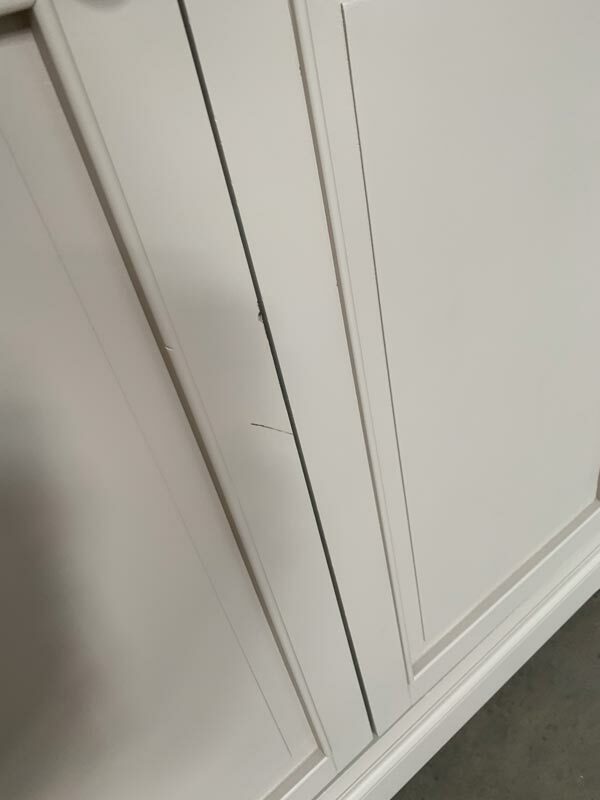 The double doors are panelled at top and bottom, and they have metal knobs. The top is a corniced fascia with rebated lines at either side of the doors for its classic lines. The dimensions are 86 cm x 140 cm x 48 cm (width x height x length). 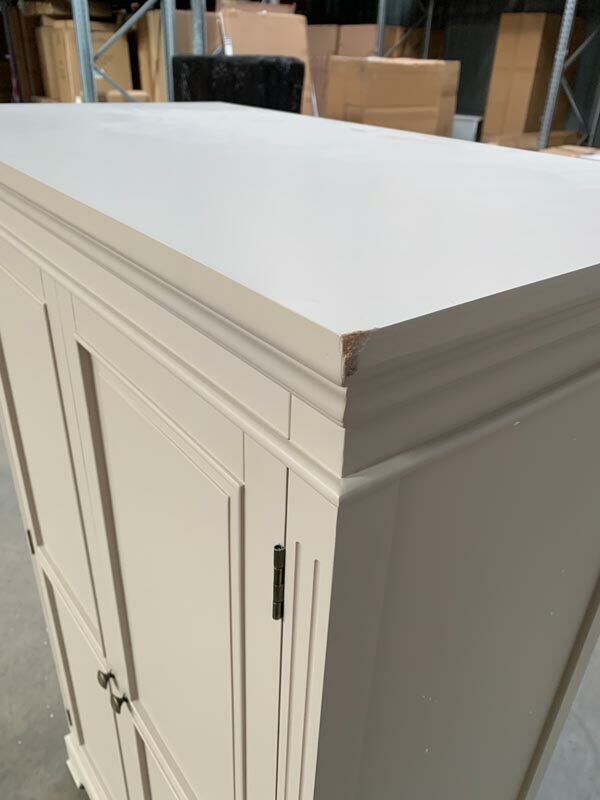 Please speak to us about delivery arrangements as the wardrobe unless given a special order from us, will only be delivered to a ground floor by the courier.